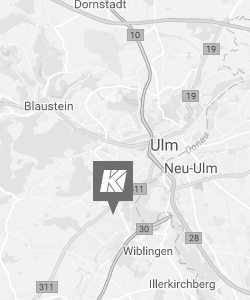 The KAMAG Transporttechnik GmbH & Co. KG is certified according to DIN EN ISO 9001. Certification will continuously maintained. KAMAG has proven that the quality requirements for welding are met according to the following standards. 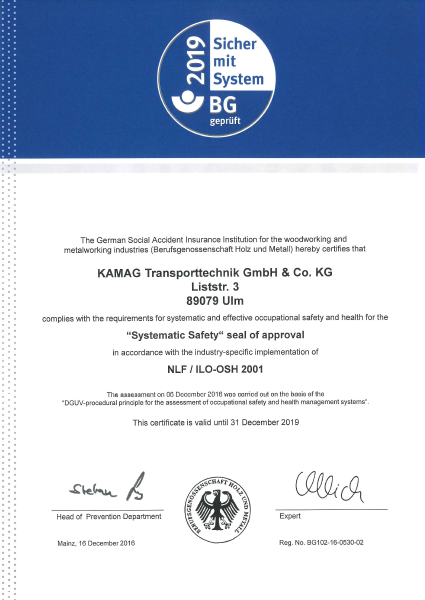 The high quality standard of the occupational safety at KAMAG was confirmed by the Berufsgenossenschaft after the successful appraisal in December 2013. 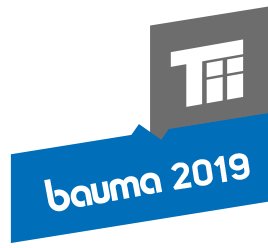 The management system SmS (“Sicher mit System”) supports the systematical development of safety and health at work and supports the branch-specific characteristics. At the same time it assures that all the entrepreneurial duties are complied with.